For years, scientists and engineers have dreamed of creating computers with human-like sensory perception and decision-making capabilities. Though it remains a distant dream, various promising developments in the field of Artificial Intelligence (AI) have already started to alter human lives in many ways. Of course, this technology, like many others, has fallen prey to both extreme glorification and criticism. In recent years, however, AI has started showing enormous potential in content marketing, one of the largest segments of the global digital marketing industry. The growing relationship between AI and content marketing has given birth to several interesting points of view, with people arguing for and against this union. In this article, I will explore the relationship between the two and discuss how AI can help content marketers, people who are already using this technology today, whether or not it will end our present-day content marketing tactics, and what lies ahead. I know it seems like a lot to digest. So, let’s start with the basics. In simple words, artificial intelligence is the ability of a computer program (ergo, a machine) to think and learn. It constitutes human-like thinking, problem-solving, communication, and learning skills. As you can see, the whole concept of AI revolves around creating machines that are capable of interacting with their surrounding by themselves without any human interference. Contrary to popular belief, the concept of AI has been around for more than half a century. Stanford researcher John McCarthy, one of the founding fathers of artificial intelligence, first coined the term in 1955. He, along with Marvin Minsky, Allen Newell, and Herbert A. Simon, organized the Dartmouth Conference in the summer of 1956, which marked the beginning of AI as a field of computer science. Are AI and Machine Learning the Same? Not really. Machine learning (ML) is one of the most common applications of AI and can gather and analyze vast amounts of data with the help of AI. “Artificial intelligence is a broader concept than machine learning, which addresses the use of computers to mimic the cognitive functions of humans. When machines carry out tasks based on algorithms in an ‘intelligent’ manner, that is AI. 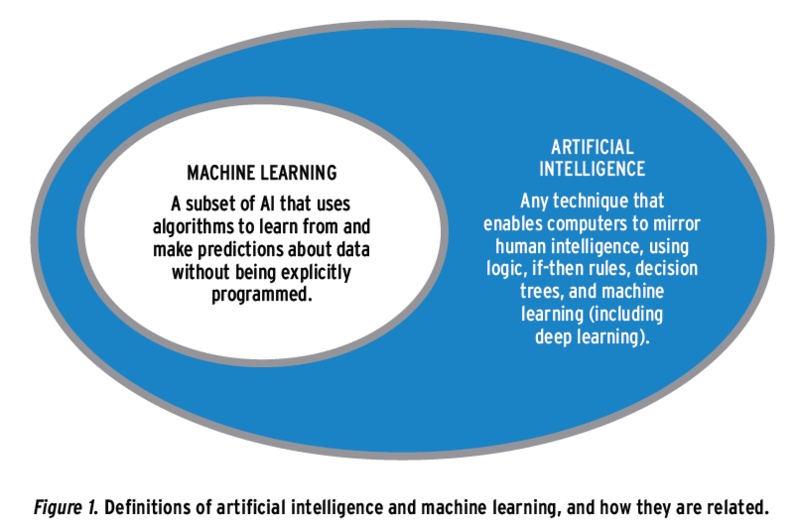 So don’t get confused with the interchangeable use of the terms, AI and machine learning. The scope of AI is virtually limitless. It is a much broader concept than being just a technology. So, where does AI fit into the content marketing landscape? The role of AI in content marketing is diverse. It can help digital marketers make sense of the ever-increasing amount of data on the web, speed up the content creation process, and take advantage of personalized advertising, among other things. Recently the growing penetration of the Internet and the surging popularity of social media have contributed to a tremendous increase in the amount of data we create every day. According to an IBM Marketing Cloud study published in 2017, 90% of the total data on the web was created in the two years before the survey. The study also predicts that with new devices, sensors and technologies emerging, the data growth rate will likely accelerate even more. This data is a treasure trove of valuable insights into your potential customers and their online behavior. Unfortunately, a large piece of this data remains uncategorized and untagged. It needs to be analyzed to extract useful and relevant information. That’s where AI comes in. Many companies have already started using machine learning for this purpose. Most AI programs, such as IBM Watson Explorer Deep Analytics Edition (WEXDAE), use both machine learning and Natural Language Processing (NLP) to identify hidden insights from the data. You can scan internal and external data sources including your website, social media, news and others. You can use key phrases to analyze and visualize the textual information to detect unique trends, patterns and irregularities in the seemingly unstructured data. An increasing number of small- and medium-sized businesses (SMBs) are using predictive analytics. In their 2018 Magic Quadrant for Data Science and Machine Learning Platforms report, Gartner reveals that not just tech giants, but traditional software editors are also shifting their focus from classic descriptive and diagnostic analytics to predictive and prescriptive analytics. According to Gartner, advanced analytics are no longer the domain of the big four: Google, Apple, Facebook, and Amazon (GAFA). Forrester, on the other hand, forecasts a 15% compound annual growth rate (CAGR) for the Predictive Analytics and Machine Learning Solutions (PAML) market by 2021. AI not only helps you gather valuable insights from hidden data, but also uses those insights to optimize your content marketing efforts. The process is called predictive analytics because it involves data mining, statistics, and modeling to make predictions about future outcomes. When you already know what your consumers think about your brand, you can then serve them the content that appeals to their needs and interests. Thus, predictive analytics allows marketers to fast-track the sales process – and AI is helping accelerate predictive analysis. It can quickly analyze a vast amount of data to find meaningful patterns and create a content marketing model based on these insights, which means that it can come up with actionable outcomes quickly compared to a team of marketers and analysts. Instead of waiting for the calculations to run their course to the end, you can deploy your marketing campaigns in real time. AI also helps avoid replication of data from each source. The consolidated data is not only accurate, but also supports multiple applications and users. Because it can be a bit difficult to provide your prospects with unique and authentically personalized experiences, AI is a great tool to help you create solutions that will allow your brand to have one-on-one engagement with each consumer. From customized emails to tailored e-commerce landing pages, AI can help you personalize several aspects of your marketing efforts. But most importantly, it can help you decode critical customer variables such as real-time location, context, behavior and values. Thus, you will be able to distinguish every customer down to the last variable. For example, you will be able to identify if a customer is vegan or vegetarian, or what kind of meals he prefers when traveling, on weekends with his family, or when he is eating alone. Collectively analyzed, these findings will help you create extremely personalized content. Instead of relying on developing the ideal customer personas, you can create unique personas with the help of extreme personalization. You can also update the variables such as interactions, context, behavior and location changes in real time. Thus, you can stay focused on the data that directly impacts your critical customer variables and avoid data paralysis. As a marketer, you have many responsibilities and writing a blog post often takes the time you don’t have. AI can help you create content although the scope of content automation goes well beyond just content creation. With the help of AI, you can also curate and distribute content, saving money and time. Just like NLP, Natural Language Generation (NLG) is also a discipline of AI. You can use NLG-based algorithms to write simple posts and news articles without any human interference. Numerous companies such as The Associated Press, FOX, and The Washington Post are already using this technology to write weather reports and sports stories. However, because the content creation bots rely heavily on data and structure, they can’t produce free-flowing content like humans can. So if you are penning down musings of your own, you will need to hire a human writer. Still, these content bots are rapidly making headway into marketing and journalism. AI-based tools such as DrumUp and Feedly can help you discover new content, schedule posts and streamline your social media communication. These tools can sort through a vast amount of online articles to provide you with the most relevant and high-quality content. You can use tools such as Buffer and Hootsuite to streamline the distribution of your content by automatically scheduling all your social media posts on all your social accounts and tracking the ROI. Setting all the hype aside, let’s see who is using AI today and how, starting with content creation bots. 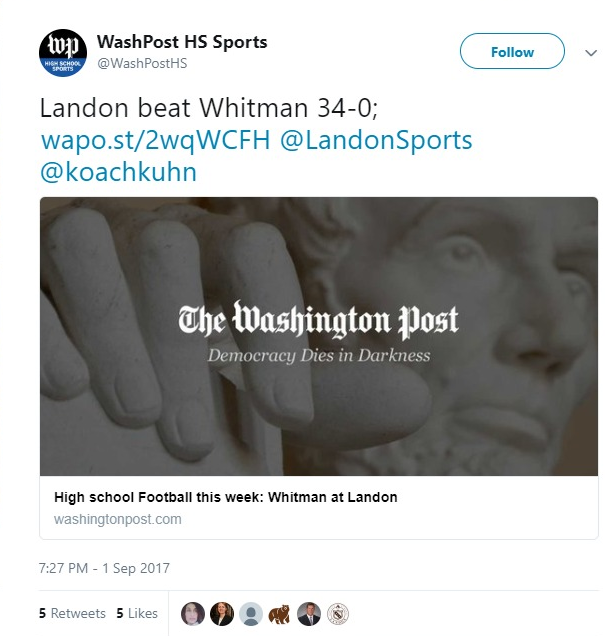 The Washington Post began using its in-house automated content creation bot called Heliograf for creating short reports for the Rio Olympics and these days it churns out stories about congressional races and football games as well. By September 2017, the Post had published 850 stories written by Heliograf. However, they are more the short journalistic reports like the one below. 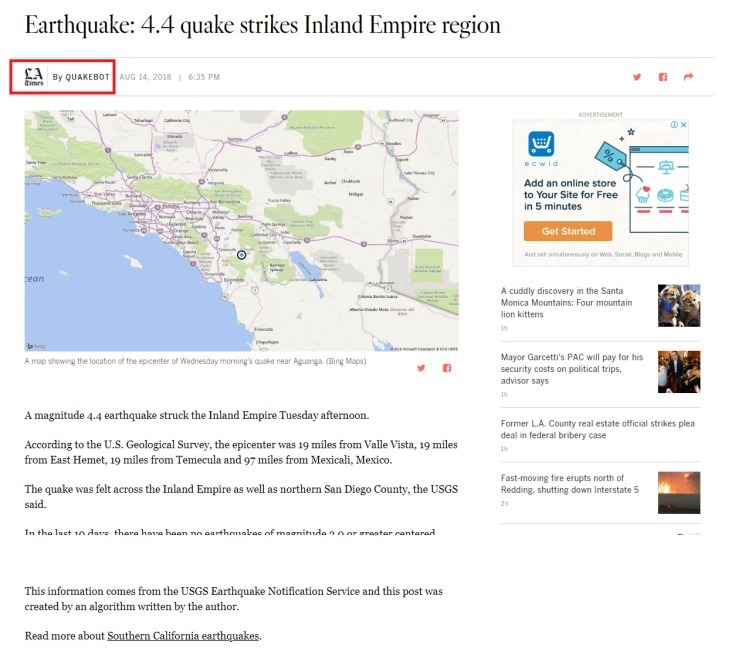 The Los Angeles Times created the Quakebot to report earthquake news. Whenever an alert comes in from the U.S. Geological Survey, Quakebot extracts the relevant data and writes the report in a template. After review by a human editor in their content management system, it gets published as depicted below. Now the content creation bot even has a Twitter handle of its own. 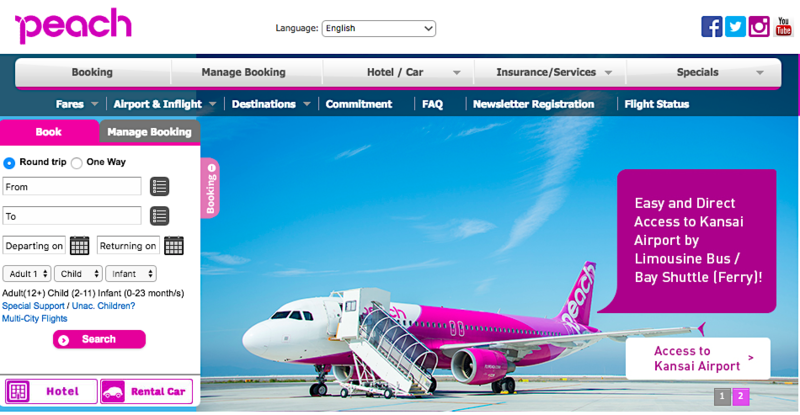 Peach Aviation, a new Japanese airline, has started using Desse, an AI-powered algorithm, to provide customer service. The AI is capable of providing customer support in seven languages, including Japanese, English, traditional Chinese, simplified Chinese, Cantonese, Korean and Thai. In the one-month trial period that ran from December 2017 to January 2018, the system was able to provide automatic responses to 87% of the approximately 100,000 inquiries received in seven languages. In 2017, National Geographic launched its first-ever scripted drama series called Genius, setting a new milestone in its history. As the show was about the life of Albert Einstein (in season one), the channel decided to come up with a chatbot that allowed fans to chat with Albert Einstein. 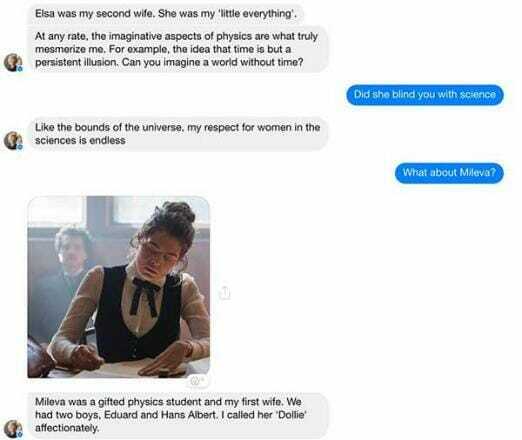 The AI-powered chatbot talked about the personal and professional life of Einstein, including relativity, other science topics, his relationships or anything else. It had a sense of humor and “a masterful understanding of when to use GIFs” and proved to be an incredible publicity boost for the show. Sephora, a leading beauty and cosmetics brand, uses AI for marketing. You can use the Sephora Virtual Artist app to upload your selfie. The app uses face recognition technology to recognize your unique facial features and gauge your skin tone. Using an augmented reality overlay, you can try different makeup products virtually to see which one suits you the best. You can directly purchase those products through the app. Sephora has also launched a web version of this application. Does This Mean the End of Present Content Marketing? AI will not replace your existing marketing strategies or the human element involved in it completely. 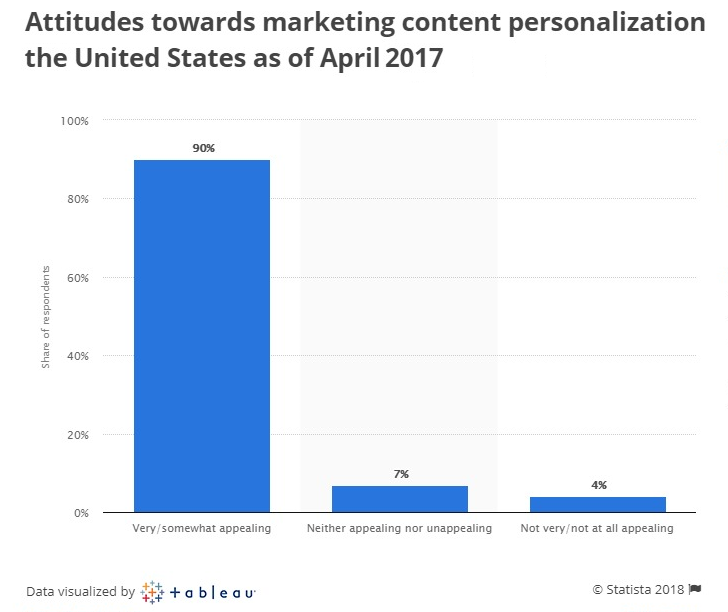 However, you will need to change some of your current content marketing strategies to get the most benefit from AI-driven marketing. You will need to carefully study your business goals and market niche to understand the role that AI-based technologies can play in it. Take the content creation bots for instance: they are still not equipped to produce emotionally-moving blog posts. Whether you want to use AI to manage your internal data exchange or to communicate with your end users is up to you. Automated content marketing will get stronger in coming years. It will also put some of the human element, especially menial, task-oriented jobs, out of business. But it is highly unlikely to replace the current content marketing completely for a long time to come. Although the content automation that marketers use today saves time and money, it is mostly manual. In future, however, these tools will become a lot more advanced. They will be able to discover keywords, plan blog post topics, write, optimize, personalize and automate content without human interference. They will also carry out manual tasks such as shaping content strategies. For the time being, AI remains the playground for tech and Internet giants such as Google, IBM and Facebook, among others. Eventually, AI technology will become more affordable and accessible and various AI technologies will be made available as cloud-based service platforms, so small and medium businesses will also be able to take advantage of AI for their marketing mix. Don’t worry. None of the potential disruptions will occur anytime soon! This means you still have time to plan your shift towards an AI-oriented content marketing strategy. AI is here to stay. But, like most cutting-edge technologies, it comes with baggage. None of the AI-powered systems will lead to the death of content marketing as you know it, though. Instead, it will provide a firm and broad framework to develop and execute highly personalized and successful content marketing strategies. Hopefully, the points raised in this article will help you understand the scope of AI in content marketing today and in the future. How do you plan to include it in your content marketing mix?